We started filming their day with the girls who were busy getting ready. The girls hair was done by Hair by Nicola and their make up by Pru Edwards Makeup. 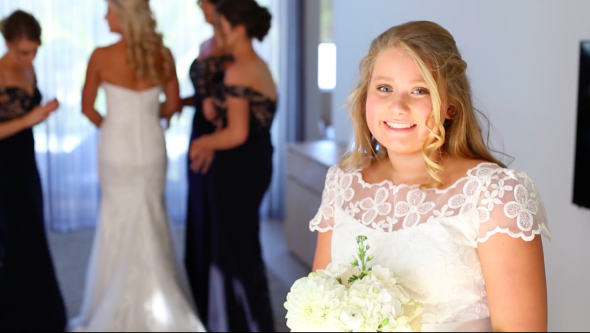 They were all looking stunning and excitement was in the air as Carly stepped into her dress from Brides of Armadale. With the girls relaxed and finally ready it was time for us to head over to the boys. The boys were getting ready at Fairshore Appartments, boys being boys they all seemed chilled and relaxed as Michael finished getting ready. 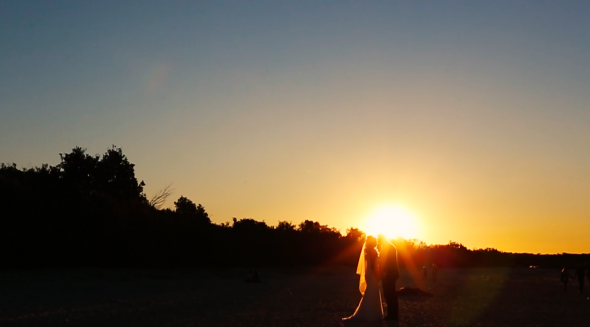 It was time for them to head down to their ceremony at Maison La Pluage. 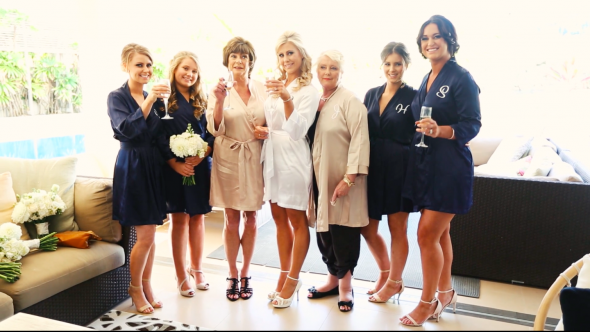 While Carly made her way to their ceremony their friends and family mingled and awaited Carly’s arrival. Carly was here, in the arms of her dad she made her way down the isle towards her soon to be husband. In a beautiful ceremony led by their wonderful celebrant Alan, Carly and Michael said their vows in front of their closest friends and family. Sealed with a kiss Carly and Michael became Mr and Mrs Willson. With their photographer Marguerite from Studio Impressions finishing off their family shots it was time to go on their photoshoot around Noosa. Love and happiness spilled into the backs of our cameras. Some really special memories captured for a life time. 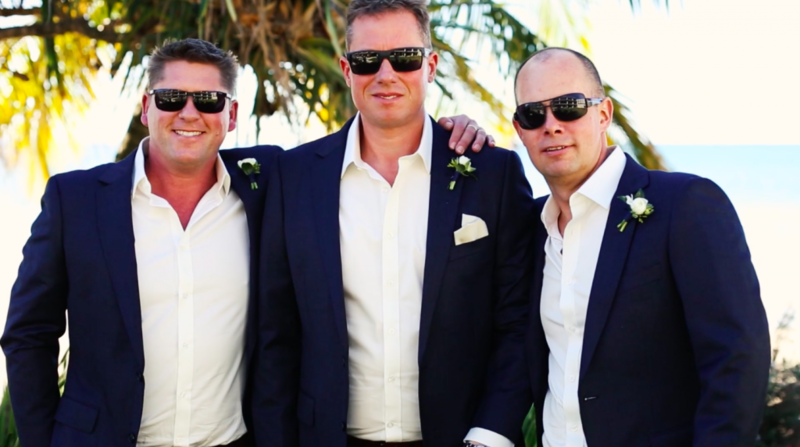 With the sun nearly ready to set it was time for us to head to their reception at Sails Restaurant Noosa for some festivities. 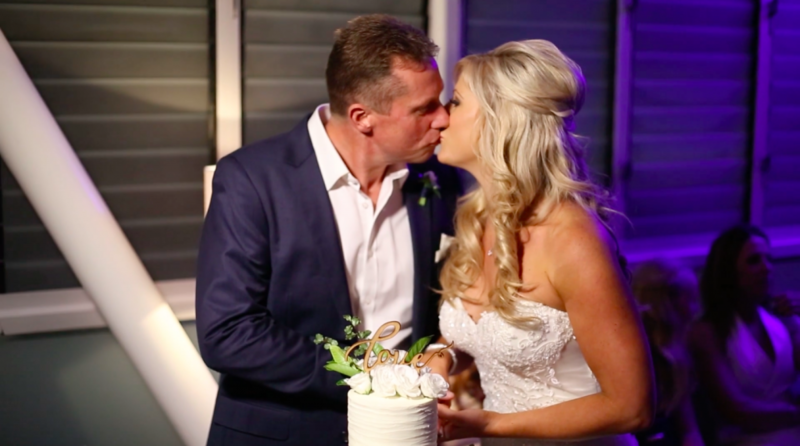 Michael and Carly entered for the first time as husband and wife and greeted their family and friends who had been enjoying their beautiful set up by Splash events. Michael and Carly, Wild Bunch Weddings wishes you both a lifetime of happiness and thank you for choosing us to create your forever memories.